Cape Kidnappers sounds like a fictional place. In fact, it even looks like a fantasy! However, I can assure you that it's a real place and it's beautiful - even when the weather doesn't cooperate with you. I took a day trip to Cape Kidnappers as a shore excursion from the Azamara Quest during our call to Napier, New Zealand. Napier is a nice little town that's famous for its UNESCO Heritage status, Art Deco architectural style and the famous tobacco building. It was rebuilt as such after a devastating earthquake in 1931. However, it’s not the most interesting place and I'd been before. Luckily it’s surrounded by some cool attractions, including Cape Kidnappers for adventure and Hawke's Bay for wine. Cape Kidnappers is a very hilly, steep terrain cape that features some really steep climbs and hairpin turns, but as the driver says, “the bus knows the way”. The rolling hills and coastline made for some beautiful views. The shore excursion was great even though the weather wasn't. Our tour guide was knowledgeable and funny, and the scenery is photogenic even in the rain. Large seabirds call Australian Gannets live at the top, which is pretty cool. They were grouped together much like a penguin colony would have been in Antarctica, and smelled about the same - but that’s to be expected! Cape Kidnappers also has a very famous golf course but I sadly wasn’t able to play during this visit. I actually had a few friends fly down to New Zealand in December and play-they loved it! It is ranked in the top 30 courses in the world. After a great excursion, the weather cleared up nicely for a beautiful sunset sail away. These things happen on vacation. There’s an old saying in baseball, “Sometimes you win, sometimes you lose, sometimes it rains”…truth! 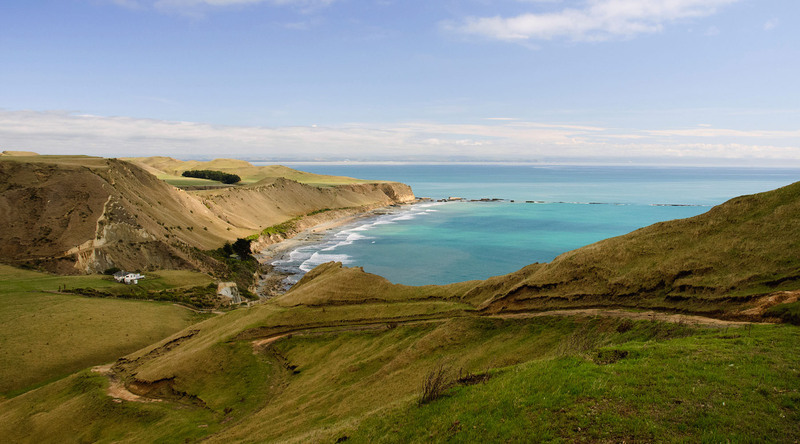 Check out Azamara's upcoming voyages to Napier, New Zealand.